The exhaustive attention NASA now devotes to making sure shuttle heat shields are damage-free and safe for re-entry is a direct result of the 2003 Columbia disaster.It almost stopped dead the entire shuttle program…it was that close! A blacked-out military flight 24 years ago still stands out as a warning to astronauts, engineers and managers, a frightening “close call” that had the potential to bring the shuttle program to an early end. Yes, It WAS that close. He was seeing the worst tile damage any shuttle had ever experienced. But a perfect storm of poor communications, caused in part by military restrictions that prevented the crew from downlinking clear images showing scores of chipped and broken tiles, ultimately resulted in a flawed analysis on the ground that indicated the crew had nothing to worry about. Flight controllers were not convinced the shuttle was seriously damaged at all. Some engineers apparently believed the astronauts had been misled by poor lighting conditions and grainy TV images. The crew knew better. The images were crystal clear on the shuttle, and definitely alarming. But the astronauts reluctantly accepted the judgment of mission control and went on about their business. The mission still stands out as an example of how assumptions, poor communications and an unwillingness to challenge authority can put people in danger in high-risk endeavors like spaceflight. 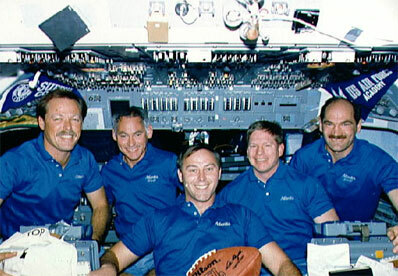 Gibson, a former Navy test pilot, “Top Gun” graduate, chief astronaut and veteran of five shuttle missions, was at the controls when the shuttle Atlantis blasted off Dec. 2, 1988, on the second post-Challenger mission. Carrying a top-secret spy satellite, the mission was fully classified and all communications with the astronauts were blacked out. 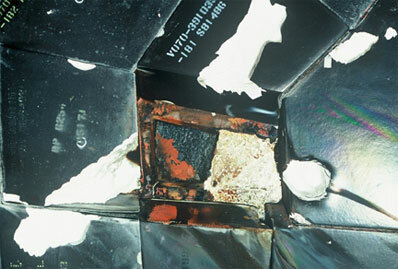 It was the most extensive shuttle heat shield damage ever recorded until Columbia took off on its final voyage. Years later, Gibson would be asked to brief the Columbia Accident Investigation Board about his experiences aboard Atlantis and as the tale was told, “their jaws dropped,” he said. Gibson, Mullane, pilot Guy Gardner, Jerry Ross and William Shepherd had no idea Atlantis had been hit during ascent. It was not until the next day that mission control called up with an unusual request. The crew was asked to use Atlantis’ robot arm to inspect the shuttle’s heat shield on the ship’s right side. Mullane, the arm operator, dutifully carried out a procedure to maneuver the arm into position so a black-and-white television camera on the end could “see” the tiles in question. Gibson, who flew for Southwest Airlines for years after retiring from NASA, recalled his impressions as the images snapped onto TV monitors in Atlantis’ cockpit and his immediate “we are going to die” reaction. But mission control repeated the engineering assessment that the damage was not that severe. “I’m just perplexed at this point,” Gibson said. “Because I’d never seen anything like this before. Never seen anything even close, and I’d been there since before day one. … He came back and he said ‘Hoot, they’ve looked at it and they’ve determined that it’s not any worse than what we’ve seen on other flights.’ And I am just perplexed. I think I was silent for maybe 30 seconds, because I didn’t know what to say. And I came back and I said something to the effect that well, all right. It looks pretty bad to us, but you guys are the experts, so OK.
Of course, it’s not clear what, if anything, could have been done if engineers had realized the severity of the problem. 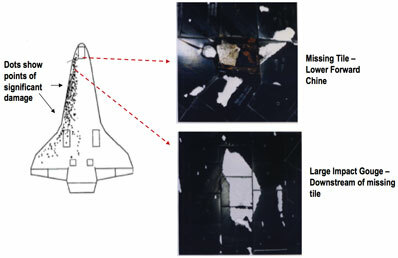 There were no tile repair tools on board the shuttle and no techniques for even getting an astronaut to the damage site. Changes to the shuttle’s re-entry orientation and trajectory could have been attempted, Gibson said, but whether anything like that would have worked is an unknown. The real issue for Gibson – and the same issue was faced Columbia’s crew – was that no one took the extra step to make sure the problem was fully resolved. Hoping for the best, Gibson and Gardner fired Atlantis’ twin braking rockets on Dec. 6 to begin the shuttle’s fiery descent to a landing at Edwards Air Force Base, Calif. The astronauts did not discuss any fears they may have had, but as the shuttle fell into the discernible atmosphere, Gibson kept his eyes on a gauge that showed how much the elevons at the back of each wing were deflected. But as it turned out, Atlantis did not suffer a burn through and Gibson guided the shuttle to a smooth landing at Edwards. Gathered on the runway after touchdown, the astronauts, engineers and NASA managers were astonished at what they saw. 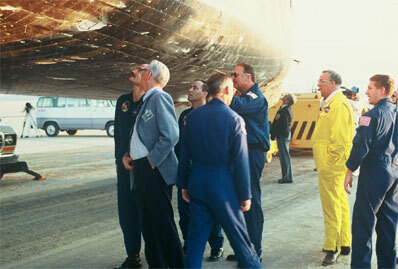 During debriefing after the mission, Gibson finally learned why the engineering community had not taken the crew’s descriptions of the damage more seriously. Wayne Hale, a veteran ascent-entry flight director and former shuttle program manager at the Johnson Space Center, agreed engineers were caught off guard by the severity of the damage when they finally saw the shuttle on the runway. “We were struggling in those days to try to maintain the security classification, so on and so forth,” Hale said in a telephone interview. “When the crew reported they saw this stuff, we had a long negotiation as I recall with the customer to say well, can we look at the TV? Because we weren’t supposed to see any TV from on orbit. (They said) absolutely not. Could we look at the bottom side of the shuttle? That was the agreement, that we could, but we used this special slow-scan TV. And it was grainy. Reflecting on what Hale agreed “was a real close call,” Gibson said he believes NASA came close to losing the crew and along with it, the shuttle program. 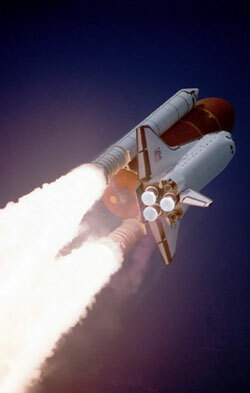 STS-27 was only the second flight after the Challenger disaster and unlike Columbia, the shuttle re-entered over the Pacific Ocean for a descent to Edwards. Had Atlantis been lost, most of the wreckage would have sunk and engineers might never have discovered the cause.